is a philosopher who teaches at the University of Cambridge. She recently became the first philosopher to perform at Latitude Festival, and writes regularly for Quartz. Albert Einstein once said: ‘I prefer silent vice to ostentatious virtue.’ In that quip is the claim that virtue does not parade itself. The virtuous do not show off. They don’t do things just to impress. On this, I am with Einstein: I would rather we were quietly wicked than showily smug. Like conspicuous philanthropy, advertising how good you are just doesn’t seem right. But Einstein’s words raise a question and it goes like this: is showing off always bad? There is no ready answer. There are red herrings too. A counsel to modesty, to play down our accomplishments, is one such. Likewise assimilating showing-off to arrogance and proposing we refrain from the vice by avoiding extremes. These two don’t work, for showing off is not inherently bad. It can go awry though, as we shall see. A better approach remarks cultural variation. What’s okay in California might be obnoxious in Cambridge, for example. Yet noting this variation is but a small step. It does not settle the question at hand, which is about when showing off is bad. Consider then what is meant by ‘showing off’. We use this phrase to designate behaving in a way intended to attract admiration. Showing off is not just doing something well before an audience. Jacqueline du Pré doing Elgar is not showing off. She is performing, playing cello before an audience. What distinguishes showing off is the intention behind the deed. When I show off, I do something for the reason that I want to attract your admiration. When we deem others to be showing off we make those judgments within a context of intricate sets of meanings. These are at best provisional and changing, and so too are the possible meanings we live out in our daily lives. Upon this shifting sand, some kinds of showing off get called out. There’s a literary tradition of humiliating braggarts. Shakespeare’s Malvolio and Falstaff come to mind. But there are more ambiguous cases. Consider the following. Suppose someone tweets: ‘The Orange Party are buffoons’ in order to signal her political virtue. She supposes we will be impressed by this, but one suspects she knows and cares little about the Orange Party. She is virtue-signalling. Here the showing off appears pretentious. But this doesn’t establish that all showing off is bad. Neither does it show that showing off is generally deceptive. The philosopher Peter Strawson took this latter view. In 1964, he remarked that, in showing off, I don’t intend to secure your admiration by letting on that this is what I am up to. In fact, I know I had better conceal my intention to get your admiration. If you cotton on to what I am up to, you will be sickened or have some other disapproving response. So, for Strawson, openness is not part of the show-off’s intention. But we must complicate this picture, if we consider actual practices. There are cases of blatant showing-off. A whole bunch of these are surprisingly innocuous or even charming. My date shows off in an attempt to impress me, say by reciting lines from my favourite poet. In so acting, my date does want me to know what’s afoot. My recognising the enacting of that intention to impress me is at the core of how the date intends to impress me. This is so much so that, even if the lines get fluffed, I still see the staging of that intention to impress me as a reason for me to be impressed. This dating game is understood as such by both parties. Hence showing-off ‘fails’ have become a staple of romcom. For Strawson, this can only be unlikely. But quotidian cases abound. A child at play shows off to his mother: ‘Look at me mummy!’ In so acting, he wants her to know that this is what he is doing, trying to impress her with his goofiness or audacity. He wants her to know that he is seeking her admiration. Nobody else’s will do. We see his showing-off as genuine, for the convention is to deem it so. A cynical onlooker would be taken for a misanthrope, or at least a churl. The child must learn to pretend, for to inhabit the adult world is to carry on as if one possesses a kind of know-how about performances. Yet this is just to experiment, to make mistakes, to find one’s way through by playing within the subtleties of such complex practices as showing off. This is to play at inhabiting meaning in creative ways. The blatant showing-off seen in drag shows comes to mind here. Here the drag artists show off precisely in order to call attention to their showing-off. They make a parody of the relevant conventions. Drag artists subvert the conventional meanings, but the need to improvise is not only seen in outright subversion cases. For example, practices of assigning meaning can change over time. What might seem innocuous showing-off now might have scandalised our grandparents. We have, in all these senses, to make things up as we go along. In such circumstances, there can be difficulty in making, or agreeing upon, the judgment about whether there is pretence. Consider the phenomenon of ‘mansplaining’. Here, somebody calls out a particular kind of showing off: an act of a man explaining without regard to the fact that the explainee (usually female) knows more than the explainer. The mansplainer lays claim to a superior knowledge that he in fact lacks, pretending to be cleverer. While this has long gone on, the practice of calling it out is relatively new. We have to decide what to make of it. Performance and pretence are part of our ways of life. Our ways of talking about showing off recognise this. 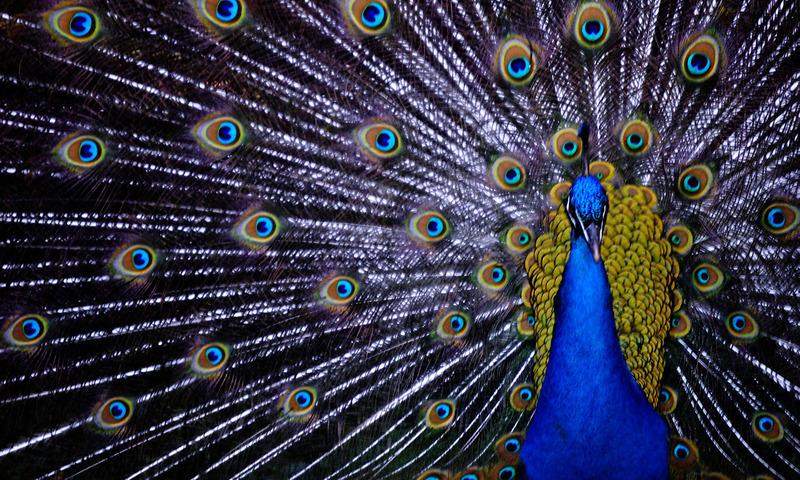 What we call – and sometimes call out – as showing off is complex, and it changes. New challenges arise, including those of avoiding self-deceptions. But there are also new horizons of possibility, new ways of living that become available as we play with meaning.